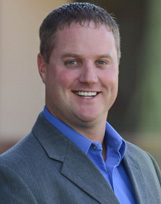 Nick Udell is a Yakima Valley Real Estate Broker for Berkshire Hathaway HomeServices. He is a full-service real estate broker who strives to serve the entire spectrum of clients in Yakima Valley. With 13 years of extensive experience in the construction industry, Nick is utilizing his knowledge of construction, marketing and the Yakima Valley to help clients buy and sell homes. His personable and professional character allows Nick to build and maintain solid relationships. He prides himself on the ability to listen and understand his client’s needs to achieve their goals and expectations. Born and raised in the Yakima Valley, Nick is blessed to enjoy his free time with his wife, Mindy and their four children. If you or someone you know is thinking about buying or selling a home, give Nick a call today! "Nick did a great job in walking me through each step of the selling process. He explained his strategy for my specific situation. He had great insight for the market and great suggestions on how I could best increase my chances for a quick sale. And his results speak for themselves. I had visits from 26 different interested parties during my open house. And my home was on the market for only 13 days before it sold. I highly recommend Nick and will definitely use him in the future."